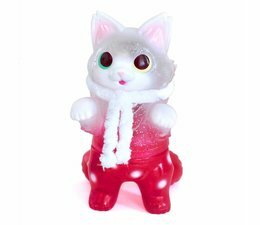 This is the Fluffy Negora (Snowflake), designed by Konatsu. Presenting a new version of Negora from Japanese artist Konatsu! This slightly chubby, big-eyed, two-tailed kitty monster is ready to steal your heart! This version features beautiful clear with glitter vinyl, a red paint scheme and a cute scarf. Each figure comes in a sealed package with a header card. 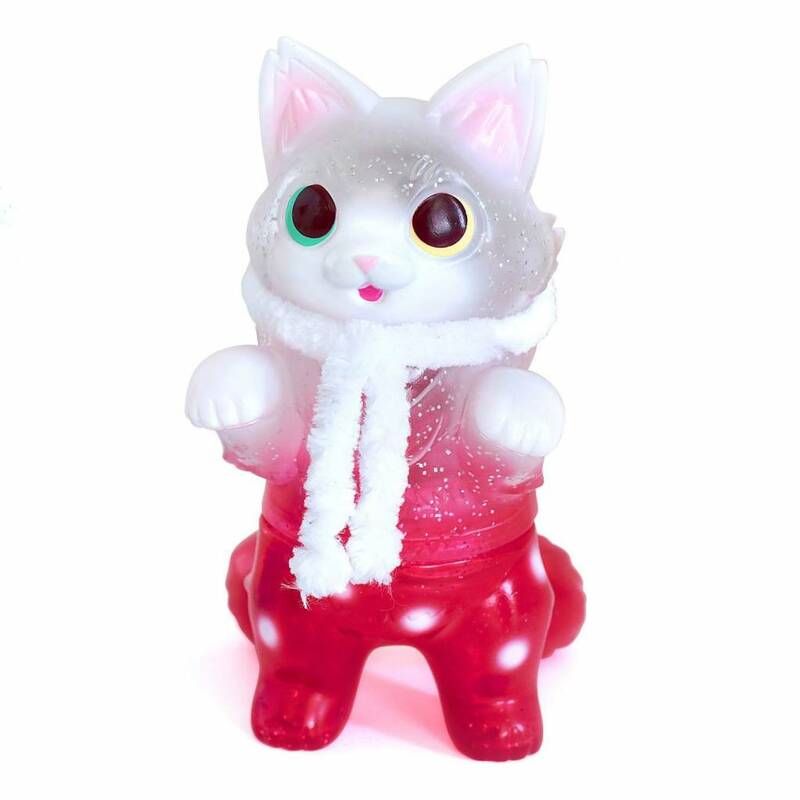 The Fluffy Negora (Snowflake) by Konatsu is a limited edition.